You might say that when it comes to superyacht's, ONEWORLD is in a class of its own. Launched in February this year, ONEWORLD is part of the Majesty 100 range, and sparkles like a jewel upon the water. With a spacious modern interior and large expansive deck spaces, ONEWORLD can host up to 120 guests for all range of events, including large corporate groups, and private and exclusive holidays. 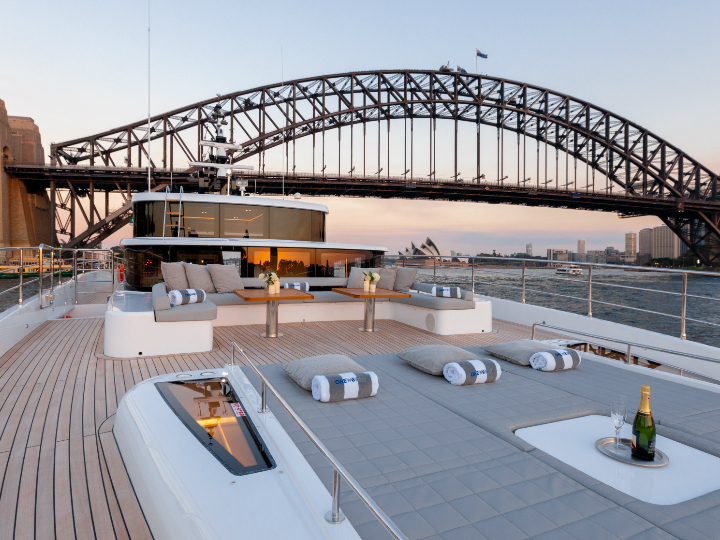 After a long day of soaking up the luxury lifestyle, there's also the option for those on board to stay the night. 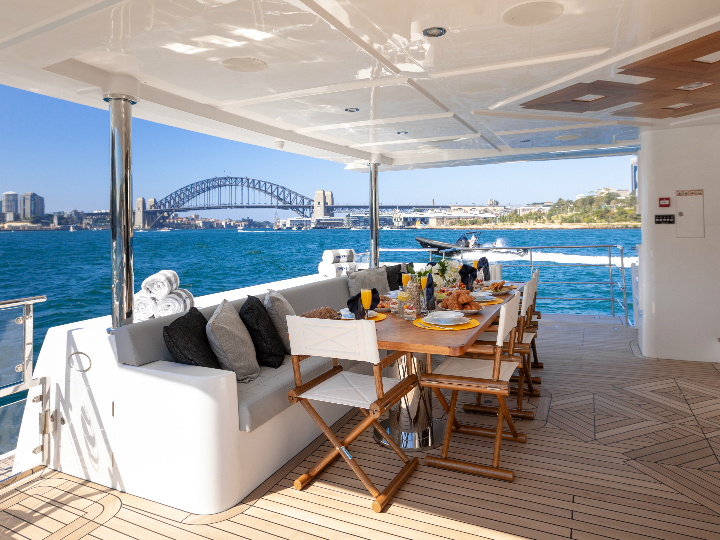 The superyacht can accommodate up to 12 guests in five luxuriously appointed guest suites each with their own ensuite bathroom and state the art entertainment systems. Meanwhile, guests can also take full advantage of ONEWORLD's on board chef, and enjoy a menu perfectly tailored to suit their every whim. For the more adventurous types, ONEWORLD also boats a range of on board water sport activities, including a giant inflatable slide.